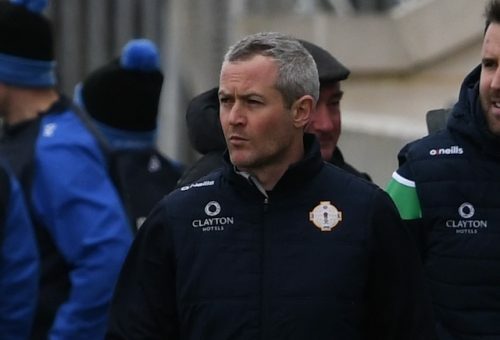 London manager Ciaran Deely says injuries to key players hampered the Exiles’ league campaign, which ultimately saw them propping up Division 4. London managed just one win – against Wexford – and finished off their campaign with a two-point loss to Wicklow last Sunday, in the division’s ‘basement battle’. “Crucial injuries hampered the team’s progress especially before the trip to Belfast with the loss of team captain Liam Gavaghan and Killian Butler, and Fearghal McMahon’s long-term injury,” Deely told the Irish World. The countdown is now on to the visit of reigning Connacht champions Galway to McGovern Park on 5 May. “We are slowly getting our full playing panel back to full fitness which is pleasing. 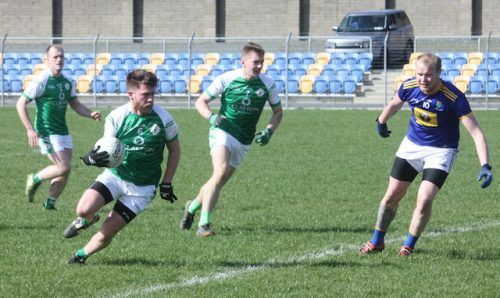 Fearghal McMahon and Liam Feerick got in some valuable game time,” said Deely, who is hopeful of having a full hand to select from for the Galway clash. The Tribesmen had a good league campaign even without the Corofin team county panellists, and will pose a formidable challenge for the Exiles. “It will tough test but the team will be in the best possible condition,” assured the London manager. No challenge games have been planned so far but that situation could change, possibly with an Easter trip if it is feasible. London opened up a three-point lead over Wicklow, with first use of the wind, only to find themselves trailing by a point at half-time. Even so, Deely was satisfied with the team’s overall display. “Playing conditions were difficult with the wind and that is why both teams found it hard to make scoring opportunities, but it was disappointing we did not make the most of it in the first-half,” he said. Meanwhile, London forwards Killian Butler and Lorcan Mulvey were pleased to get in more valuable game-time under their belts for contrasting reasons. A late addition to the panel, Mulvey, is in the process of attempting to get back up to the pace of inter-county football and was pleased to have got on the scoring charts, following his appearance off the bench against Waterford. “It’s going to be difficult; I have six weeks to get up to speed but it’s great to be back involved,” said the Cavan native. Meanwhile, after his recent injury, Butler, is just pleased to be back on the pitch again. After a lively return against Waterford, Butler again impressed against Wicklow. “It’s another disappointing result but it great to be in action again, unlike my brother Philip who has injured his thumb,” said Butler.